Why it matters: This Saturday, August 11, NASA’s unmanned Parker Solar Probe is set to launch from Cape Canaveral Air Force Station in Florida on a mission to “touch the sun.” The probe will be the first spacecraft to fly into the low solar corona—the aura of plasma that surrounds our closest star. In order to reach the sun, the probe must leave Earth at a high velocity. That’s why it will be hitching a ride on the United Launch Alliance Delta IV Heavy rocket, which is the world’s second most powerful rocket, beaten only by SpaceX’s Falcon Heavy. 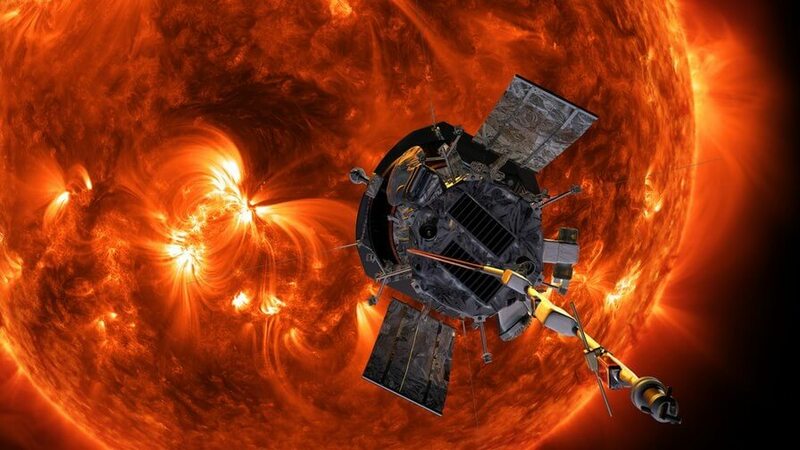 In a statement, NASA said the probe "will travel through the sun’s atmosphere, closer to its surface than any spacecraft before it, facing brutal heat and radiation conditions – and ultimately providing humanity with the closest-ever observations of a star." The probe will arrive at its destination by looping around Venus on October 2 using a gravity assist maneuver that will control its approach to the star. It should reach its first point of close approach to the sun on November 5. The 1000-pound, car-sized spacecraft will be performing 24 flybys of the sun over its seven-year mission. At its closest point, the probe will come within 4 million miles of the star’s surface, placing it within the corona. To survive temperatures of around 2,511 degrees Fahrenheit, the probe is fitted with a 4.5-inch thick, 8-foot diameter carbon shield, which keeps the on-board instruments at a warm but safe 85 degrees. As noted by Space.com, those six instruments will be working to solve three mysteries about the sun: why its atmosphere becomes hotter farther away from the surface, how the solar wind of charged particles streaming out into space is born, and what causes coronal mass ejections. Not only will the probe’s mission mark humanity’s closest visit to the sun, it will also be the fastest man-made object ever, with top speeds reaching 500,000 mph once it is in the star’s orbit. Additionally, it will carry a memory card containing over 1.1 million names, including William Shatner’s, of people who asked for them to be sent into the sun.